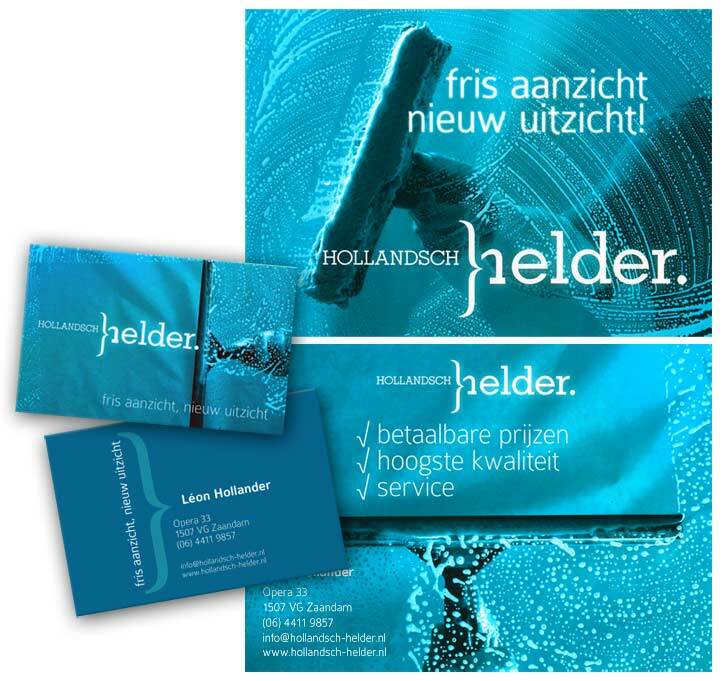 A new visual identity, logo and slogan was developed for 'Hollandsch Helder' (Clear Dutch / Dutch Clarity). A windown cleaning company that creates and offers work opportunities to people with reduced chances in the regular work field. The slogan Fris Aanzicht, Nieuw Uitzicht freely translated means Fresh View, New Perspective or Clean Look, New Perspective.